Amaze your clients and their guests with this photo booth template and warm their hearts with some Christmas cheer. 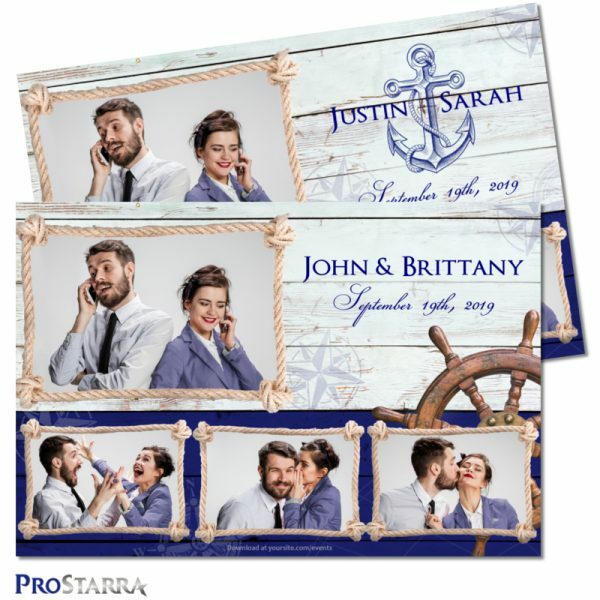 This photobooth design is both fun and sophisticated, and it’s extremely versatile. The layout fits in to both fun and formal holiday season events with equal ease. 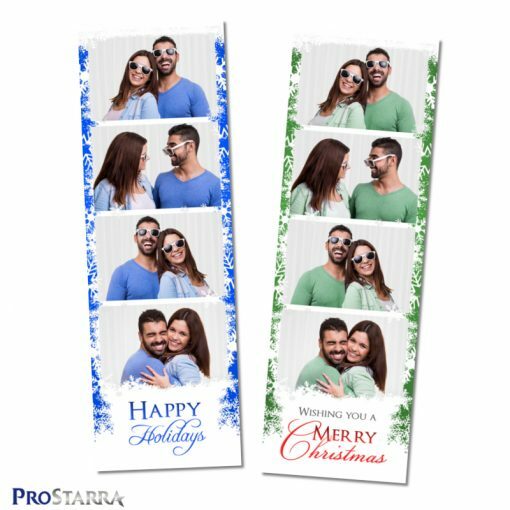 We’ve made this photo strip extremely easy to use with ready-to-go versions of the template in 8 different colors. 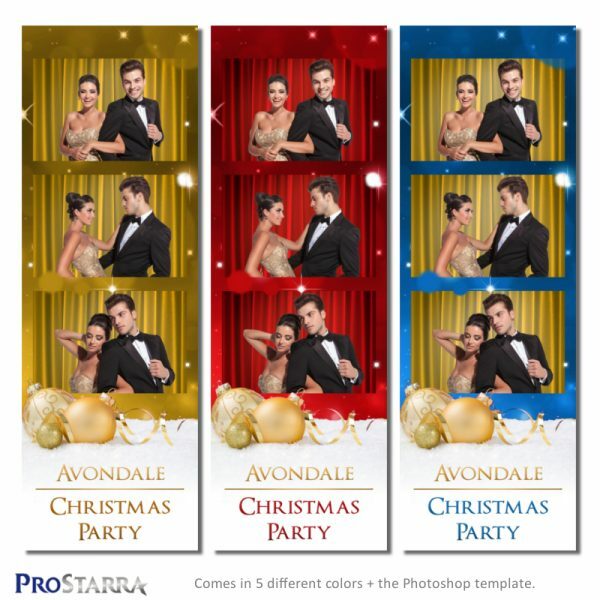 We also provide you with three different font configurations so you can use the template layout for formal, semi-formal, and casual Christmas parties and events. We try to make things easy for you so you don’t have to spend time in Photoshop if you don’t want to, but if you do, we also provide a layered and organized PSD file so you change or add whatever you like. 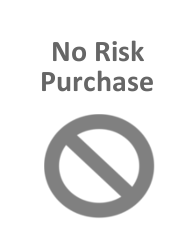 We also provide a Photoshop Elements file and a Gimp file. 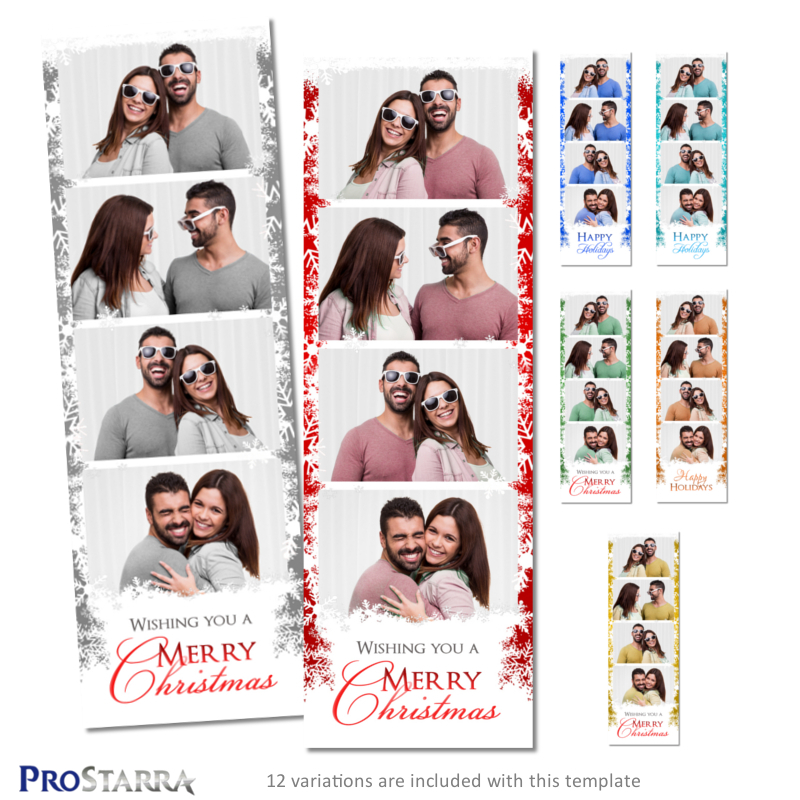 This template works with the following photo booth software: Breeze systems, dslrBooth, and Darkroom Booth. For a lot of people, editing images in Photoshop isn’t their thing. If this is you, we’ve got you covered. 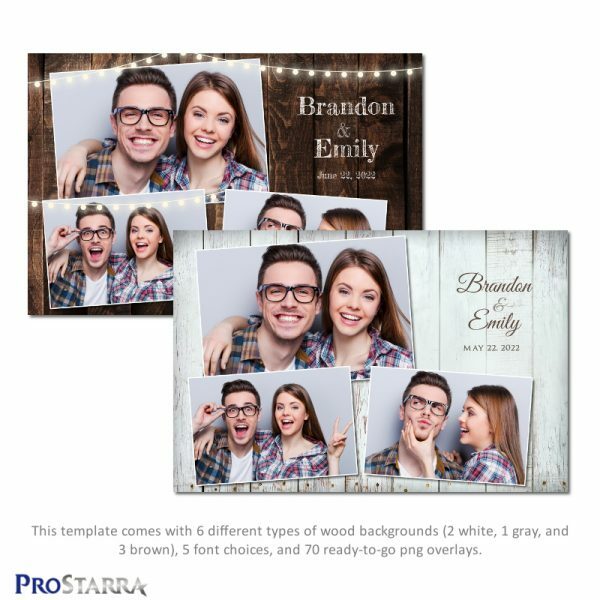 This template comes with 12 ready-to-go overlays in different colors that you can load into your photo booth software and be up and running in no time. The colors included are red, green, evergreen, gold, blue, brown, cyan, gray, and orange. We’ve also included three red overlays with different styles of font that you can copy based on the type of event you’re dealing with. All fonts used in this template are available for free commercial use, and we provide links to where you can download them for free.